For more than five decades, the Legado Companies have created special places to live, work and play. Our legacy of quality, care and innovation has been unmistakable in more than 15,000 residences and over one half million square feet of retail space developed. Legado Companies are guided by an unwavering commitment to quality, innovation, stewardship and community building. We invest our time, expertise, and creativity through working closely with our neighboring stakeholders and public agencies. Our main lines of business encompass a wide range of real estate activities including, but not limited to, the activities the following. 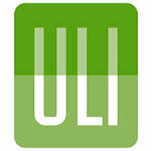 We are a charter member of the U.S. Green Building Council and the Urban Land Institute.